The models are so brave at these shows. Sitting or standing in pretty much next to nothing all day and having people come along(myself included) who just take snaps of them midway through being painted and then their images are out there in the world. 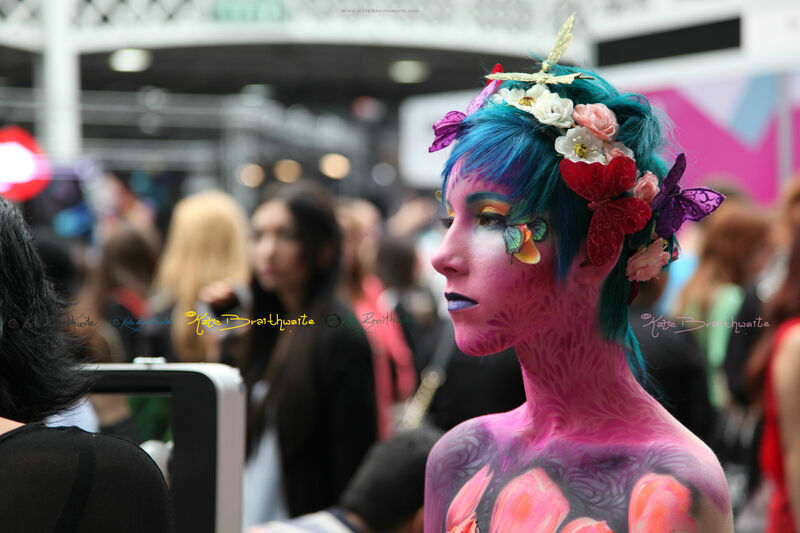 So please if this is you or you were the incredibly talented make up artist who painted her, then please do send me your names, contact details and business info so I can make sure anyone that would want to book you can contact you!